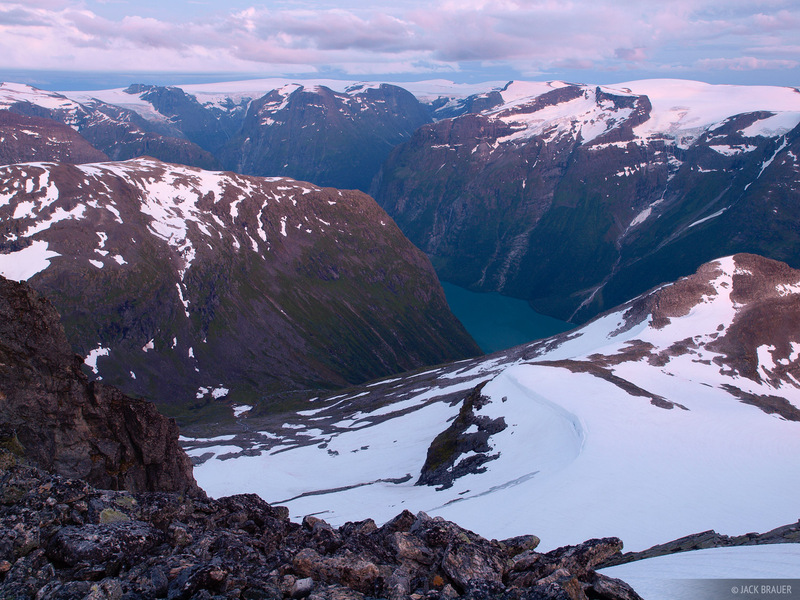 Twilight glow illuminates the Jostedalsbreen mountains above the Kjenndalen valley, as seen from the summit of Skåla. This photo shows the unique characteristics of the Jostedalsbreen range, a large mountain range topped with a flat ice-cap plateau, cut through by steep, deep, and rugged valleys. Steep glaciers pour off the ice cap into turquoise lakes below. Photo © copyright by Jack Brauer.